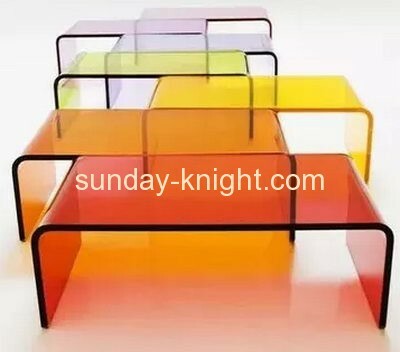 Good weather and acid properties of acrylic plate, not because of the sun and rain over many years, and produce yellowed and hydrolysis phenomenon, long life, compared with other materials, products, long life of more than three years. Hard acrylic plate on the basis there has been further sublimation , a new breakthrough in terms of quality, characteristics. Here, we talk about Features Hard acrylic panels. What is acrylic plate: acrylic with high transparency, light transmission rate of 92% , the " plastic crystal " reputation. And have excellent weathering resistance, especially applied to outdoor, ranking the highest in other plastics , and both a good surface hardness and gloss, processing plasticity, can be made into a variety of shapes and products needed. Another sheet of a wide variety of rich colors (including semi-transparent color palette ), and the other is characterized by thick still maintain a high level of transparency. Hard acrylic board features: hard acrylic sheet, plexiglass (acrylic ) sheet, anti-scratch scratch plexiglass ( acrylic) sheet: This product is mainly imported, hardness 5H thickness:. 0.5mm 0.60mm 0.8mm 1.0mm 1.2 mm 1.5mm 2.0mm 3.0mm these products are made of modern electronic window screen Required materials, has been widely used mobile phone screen, computer screen, watch the screen, TV screen, LED light screen, toys, screen and so on.